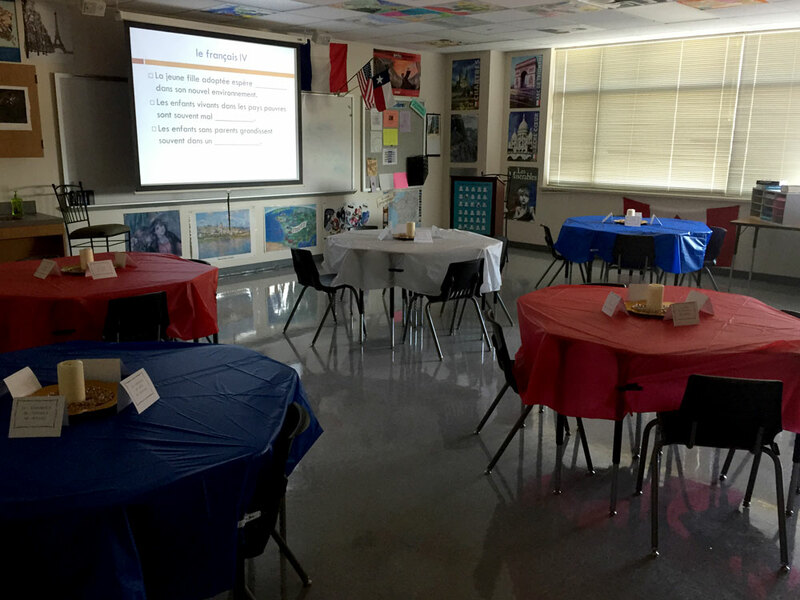 French teacher Roger Thomas turned his classroom into a Parisian cafe for a French IV class. The French program at Timber Creek High School is spreading its culture among both students and staff alike. French teachers work hard to help their students learn the ins and the outs of the language. French students are taught not just the language, but to get involved with it. Students are taught how to communicate with an entirely different culture. Being able to speak a second language is proven to increase your overall English skills, as well as multitasking skills, memory skills, perception skills, and decision making skills. Besides English, French is the only language spoken on all continents. More than 220 million people speak French across the globe. “French is the language of the future! Forbes magazine reported that more than 750 million people will speak French by 2050,” Thomas says. The French program at Timber Creek has broadened its horizons, as last year was the first time there was a French club. Last year, they organized several activities, some of which being movie nights with only French spoken films, a holiday party, a field trip to the Kimball Museum, and much more. Another French teacher, Dorothy McFarland, can be found behind the scenes of the club, as well as Thomas when he can. The French program at Timber Creek is a community of dedicated and passionate people, who come together to celebrate a great culture; the culture of France. Hannah Haskin is a senior student reporter for the Timber Creek Talon. She enjoys writing, mathematics, and the outdoors.